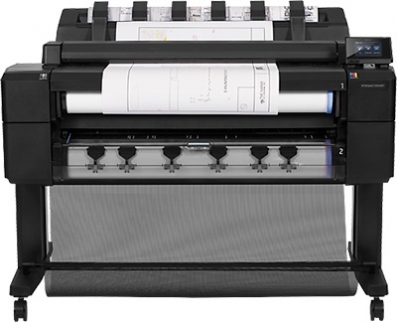 Improve workflow — switch between two rolls with a front-loading multifunction ePrinter that uses an output stacking tray to organize and protect your drawings. Easily scan and copy, and rely on powerful processing to print even from mobile devices. Eliminate the output clutter — get flat, collated prints thanks to the integrated output stacking tray. Gain full control — monitor media rolls, view printer status on the touchscreen, and track jobs during printing. Load two paper rolls effortlessly — even when seated — with front loading and automatic paper-roll alignment.